Charlene Dandoulis had been rushing around all day when her one-and-a-half-year-old son had a "tanty" in the car. In an effort to calm Ryder down, the young single mum rushed into a Melbourne convenience store to buy him water, the Herald Sun reports. Charlene said she only planned to be out of the car for a few seconds but a man approached while she was at the counter and started hurling abuse. "He was saying you don't deserve your child … he called me a slag. He was telling me I was clearly as stupid as I looked," she said. "In the past, every single time, even while filling up the car with petrol, I take my son with me … this was the first time. "For someone to say that I on any level would not be considering what's best for my child is insulting. "I would assume that he would probably not have done the same if I was a big burly man." Although the Melbourne suburb of Elword was around 23 degrees on February 16, when the incident took place, Charlene said she took steps to ensure Ryder was safe in the car. She parked right outside the store so she could watch her son and she left the windows opened to let in plenty of air. But that wasn't enough for the irate man - he then followed Charlene from the shop to her car, even leaning down to scream at her through her infant son's open window. His tirade only stopped, she said, when a shocked bystander intervened. Charlene has since received dozens of messages of support when she shared her experience on social media, with many calling out the man's "abusive" and "ignorant" behaviour. Others said they sympathised with the single mum but would never leave a child in a car. 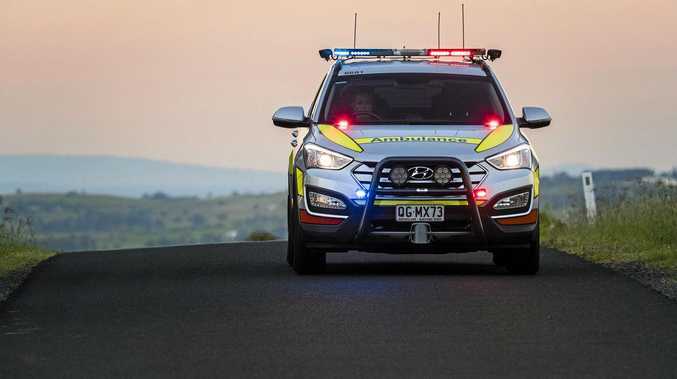 Ambulance Victoria senior paramedic Phil Campbell said children and pets should never be left in cars, even if it was only for a few minutes. "Tests by Ambulance Victoria found even on a 29 degree day the inside of a car can heat up to 44 degrees within ten minutes and reach 60 degrees within 20 minutes. This can be catastrophic and unfortunately in the past there have been cases of children dying in hot cars," he said.